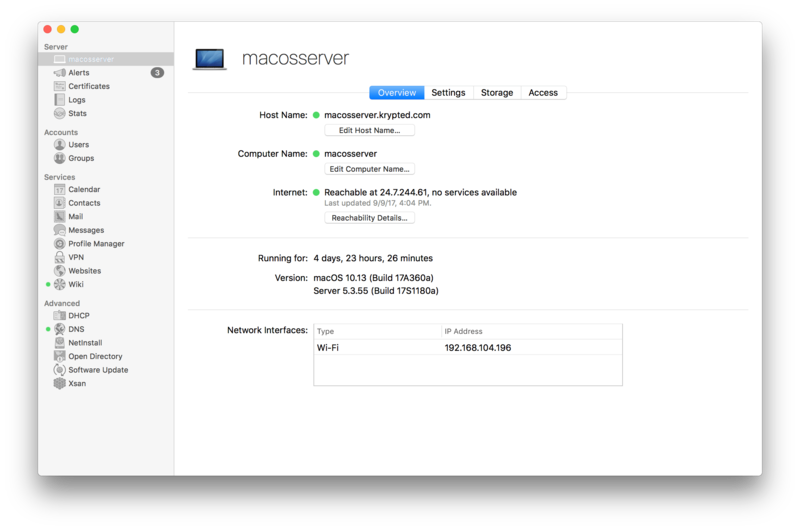 There are a few ways to create users in macOS Server 5.4, running on High Sierra. 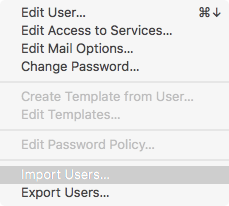 The first is using the Server app, the second is using using the Users & Groups System Preference pane and the third is using the command line. In this article we will look at creating users in the Server app. To do so, open the Server app and connect to your server. 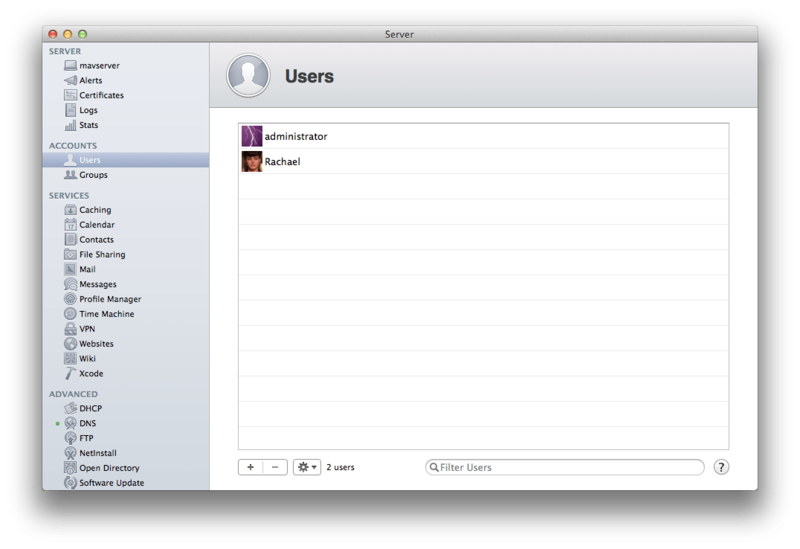 Then click on the Users entry in the ACCOUNTS list. The list of users is displayed, based on the directory domain(s) being browsed. A directory domain is a repository of account data, which can include local users, local network users and users in a shared directory service such as Open Directory and Active Directory. 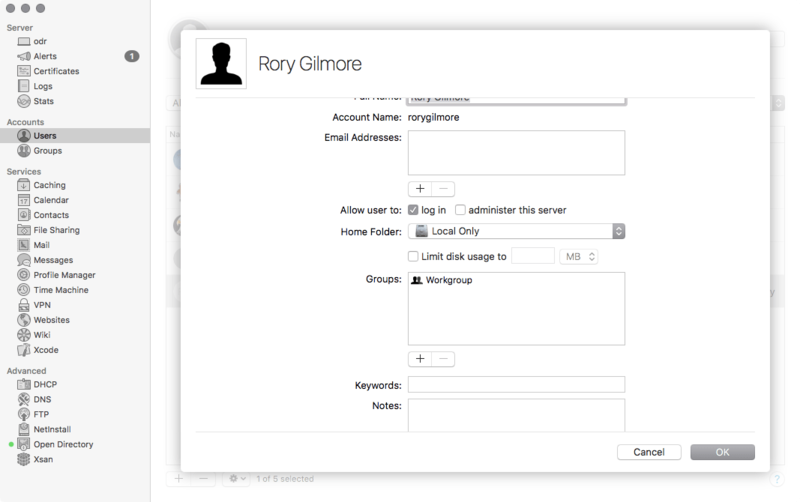 The drop-down list allows you to see objects that are stored locally as well as on a shared directory server. 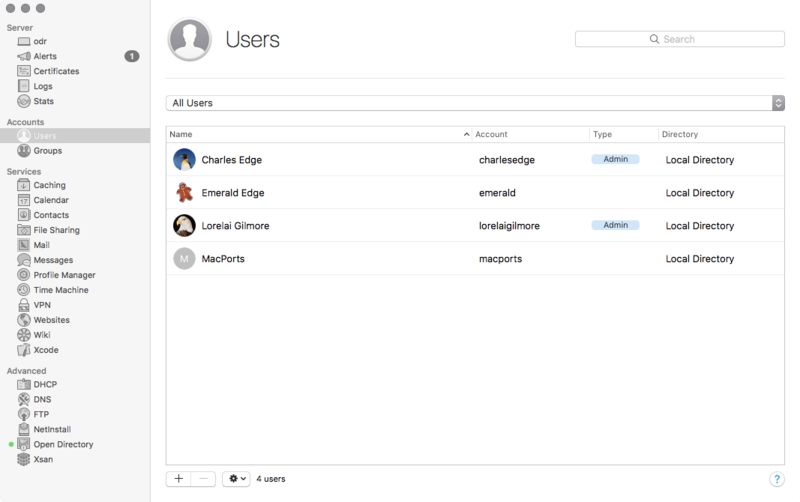 Therefore, clicking All Users will show all of the accounts accessible by the system. Click on the plus sign to create a new account. 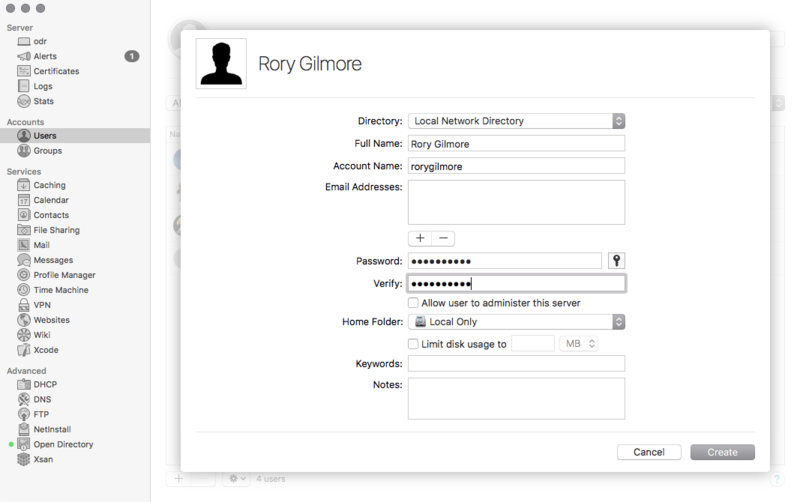 At this point, if the server has been promoted to an Open Directory Master, the account will be a local network account, with no way of choosing a different location to store the account in the Server app. Limit Disk Usage To: Define the amount of space an account can take up on servers. Keywords: Keywords, or tags, for the user. Notes: Any notes you want to enter into the user record. Once the account details are as you would like, click on the Done button. The account will then be displayed in the list of available accounts. Once the account is created, highlight it and click on the cog wheel icon below the list of accounts. 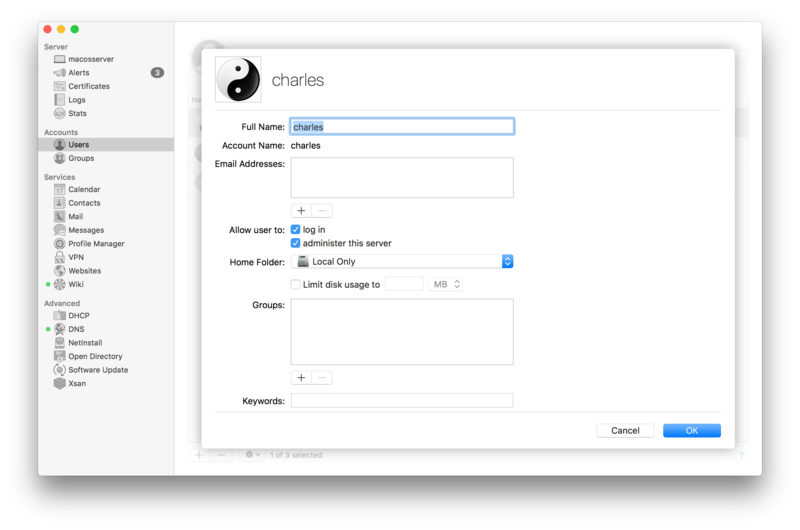 Here, you have the option to edit the account you just created, edit their access to services hosted on the server, configure email information and change their password. Click Edit User. Here, you have two new features. 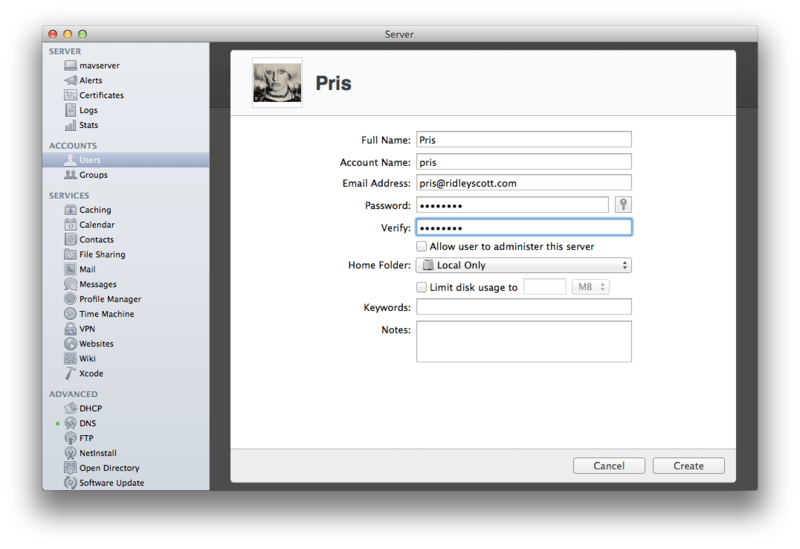 You also have the ability to add the user to groups and use the checkbox for “log in” to disable the account. Click Cancel and then using the cog wheel menu again, click on Edit Access to Services. Here, uncheck each service that the user should not have access to. If the service isn’t running then it’s not a big deal. You can highlight multiple accounts concurrently and then use this option to disable services for users en masse. Once the account details are as you would like, click on the Done button. The account will then be displayed in the list of available accounts. Once the account is created, highlight it and click on the cog wheel icon below the list of accounts. 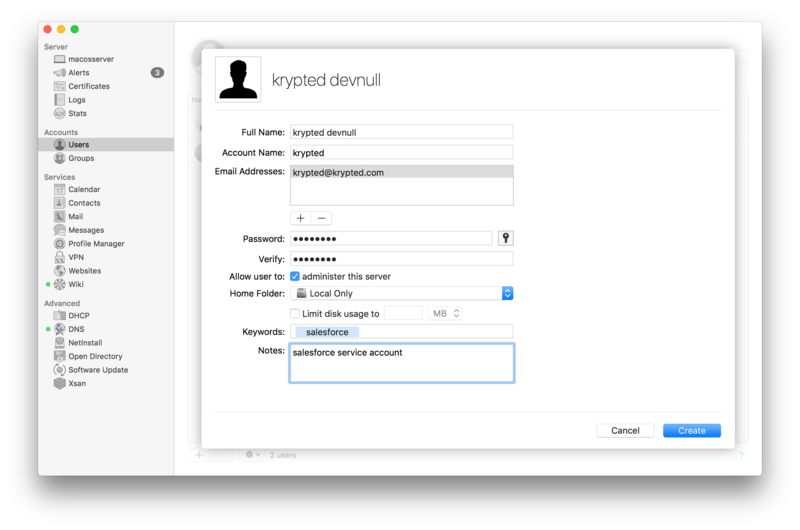 Here, you have the option to edit the account you just created, edit their access to services hosted on the server, configure email information and change their password. Click Edit User. Here, you have two new features. 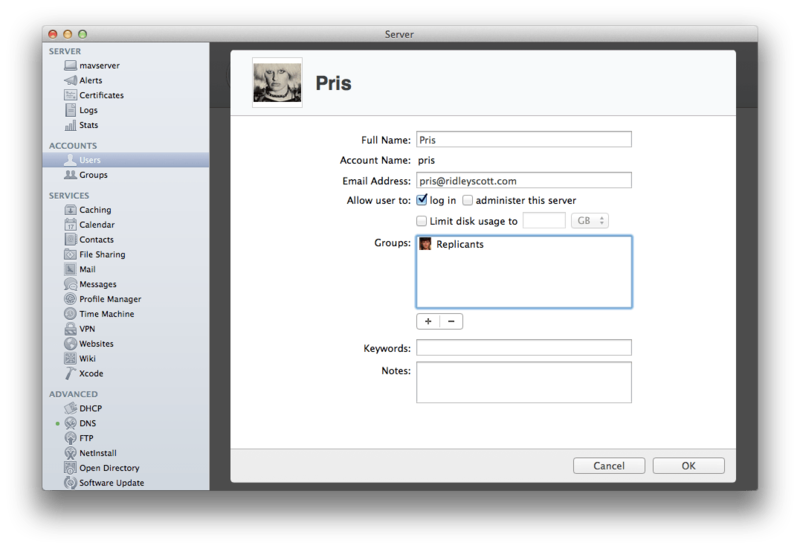 You can add the user to groups and use the checkbox for “log in” to disable the account. 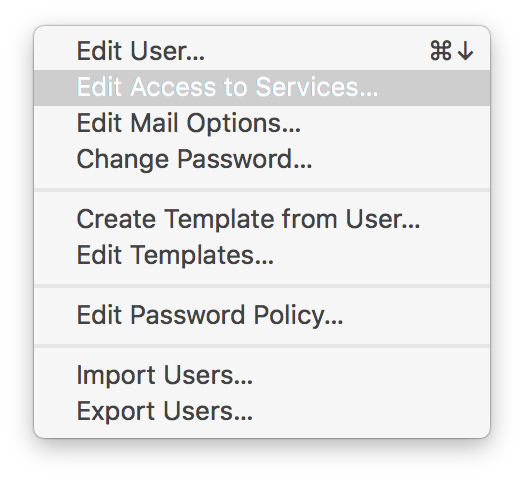 Click Cancel and then using the cog wheel menu again, click on Edit Access to Services. Here, uncheck each service that the user should not have access to. If the service isn’t running then it’s not a big deal. 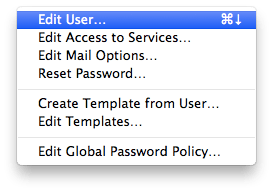 You can highlight multiple accounts concurrently and then use this option to disable services for users en masse.